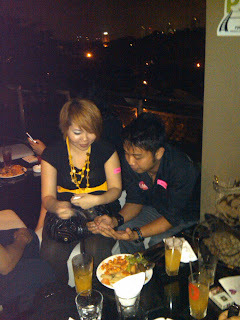 I was invited to a few events which are closely related to social media for the past 2 weeks. 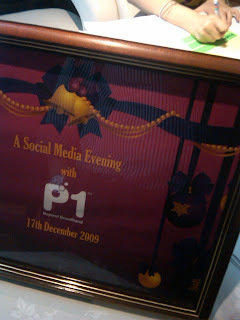 An event called P1 Social Media Night, hosted by P1 Wimax, which is infamous for its "Potong!" advertisement to its maverick way in marketing their broadband. I have been to quite a few of their events this past one year as they seem to engage bloggers and other social media networkers more than any other telecommunication company. Now, we have everyone of them noticing the social media network as a place to market their products. Their event started at 6.30pm and supposed to finish at 10pm. 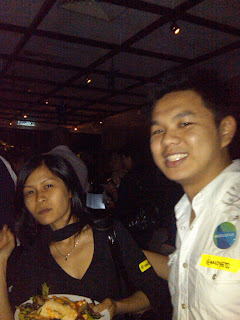 At the same time, in another part of the city, Starbucks Malaysia StarbucksMY was throwing another event to celebrate their 11 years presence in Malaysia. The day had started early for Starbucks as they gave out free coffee between 11am - 1pm which I did managed to get in the local Starbucks near my office. Their party started at 7pm until late.